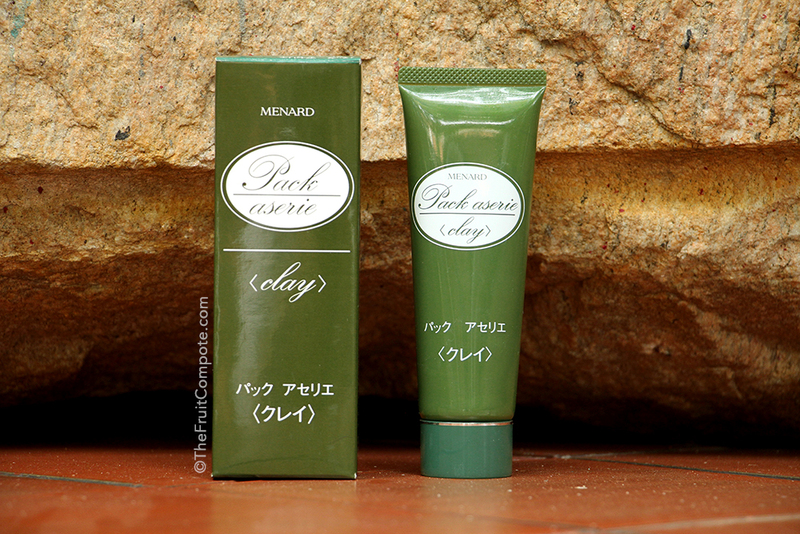 Thanks to my friend, Amalia, I got hooked on Menard skincare. And thanks to her again, she tipped me on this awesome product I’m about to review. I didn’t need much convincing that I bought it right away. I can tell you this. 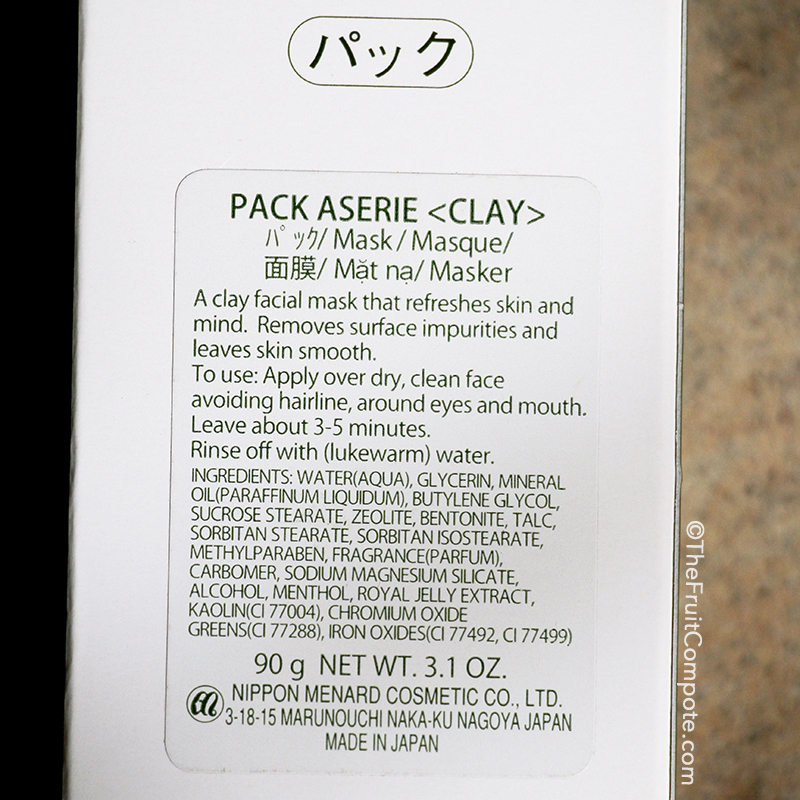 It was love from the get-go, Menard Pack Aserie Clay Mask. The packaging leaves something to be desired, to be honest. It feels.. old school. The shade of green isn’t the most appealing either. But one must look closer because hello, this is Japanese skincare we’re talking about and I’m biased already. The packaging works just fine at dispensing the product though, so no complaint here. It’s all streamlined down to the color of the product: green. Exciting! I love green. 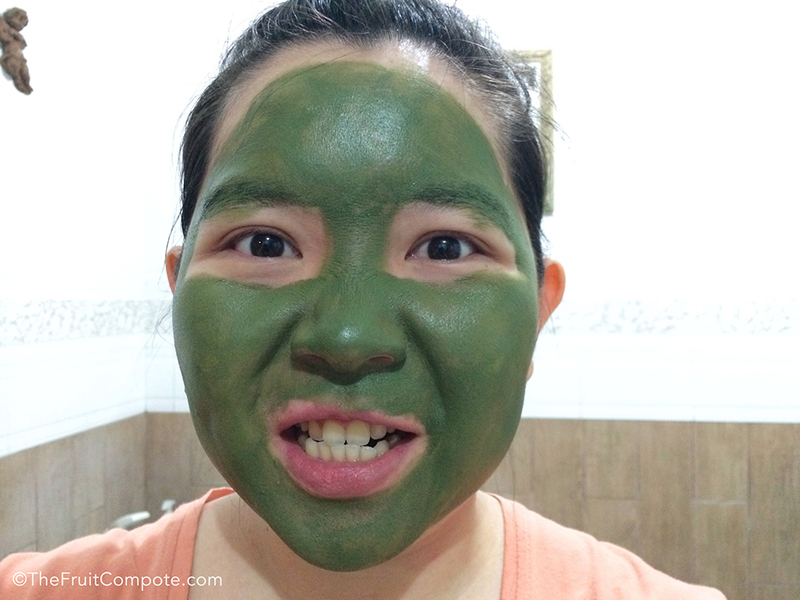 And this is the first time I have a green-colored clay mask, so it adds to the whole anticipation. Truth to be told, I barely read the description on the box about what the mask does. I was just too excited to try it. Now that I re-read it again, I’d say it really does what it says it’s going to do. More on that in just a little bit because.. I literally laughed and giggled so much I just had to take pictures. I was like “damn, I look like Hulk!”. I ran to my mom and my sister like a little fan girl, just to show this green face o’ mine. Aside from looking like a lunatic, this is also to prove a point that Menard Pack Aserie is very comfortable to wear during the wait-time. I had expected that the clay will dry out like other clay masks; the super drying, cracking type. You know, the kind that won’t allow us to move our faces. As you can see here, I’m doing everything except being stuck. The application is really easy too. The paste-like mask spreads quite smoothly on the skin. I do not skimp whenever I apply this. I make sure that my face is fully covered in this moss green goodness. I usually apply another layer to concerned areas such as my forehead, nose, chin, cheeks (and that’s practically everywhere). It has a scent that I do not know how to describe, kind of medicinal/herbal but fresh. I personally really like it. Results? I was hooked on the very first night! My skin feels.. clean. Not the squeaky kind, because the formula keeps the skin soft and moist, which is always a good thing in my book. But more over, I feel terrific, I can just feel it in my bones. When Menard says it refreshes the skin and mind, I concur. It got me hooked that I used it 3 nights in a row before realizing, OK, probably not a good idea because it might backfire on me. But that just shows how much I love it. Because the mask removes impurities, it works so well at keeping my skin clear and helping the skin to de-congest. As a matter of fact, one small zit deflated within just one night of use, which led me to the 3-nights-of-non-stop-usage. I had a pretty bad breakout recently, mainly under the cheekbones where all the evil bumps just grew and grew. Gosh, Menard Pack Aserie has been a godsend. It helps to calm down my skin, making the whole recovery process less painful. It cools down the inflamed area. I would actually apply it during the day on the problematic area and leave it for hours before rinsing it. Sometimes I would even reapply. Considering the rate of how often I use this, it has never backfired on me. Even when I used it for 3 consecutive nights, it didn’t dry my skin out. It leaves my skin really soft, smoother and fresh. What’s not to love, really? Nothing. A little tip when rinsing. I generally don’t like to use lukewarm water on my face so I just use regular tap water to rinse the mask off as much as I can before using a pre-soaked face cloth to help remove whatever is left. I’ve used half of the tube already in the span of a little less than 3 months and that’s unheard of. You can bet I’ll be repurchasing this. Menard Pack Aserie has been my go-to mask and the temptation of not using this every night is not an easy task.